In a sign of the times, researchers at Georgia Tech are focusing their work in two key areas—low-power integrated circuits and machine learning—that could help spur innovations across a wide swath of industries. Demand for small robots that can function autonomously and make decisions on their own is booming. In that context, one group of researchers is working to develop an ultra-low power chip that enables palm-sized robots to collaborate, learn, and conserve power in innovative ways. In another project, researchers are using machine learning to analyze capacitor materials more quickly, in the hopes that information gained from the analysis can be used to design electronic materials superior to those currently available. The new machine learning method is said to produce results eight orders of magnitude faster than the conventional technique based on quantum mechanics. Following are two reports from Georgia Tech Research News that shed light on what the researchers are trying to accomplish and the possible implications of their work. 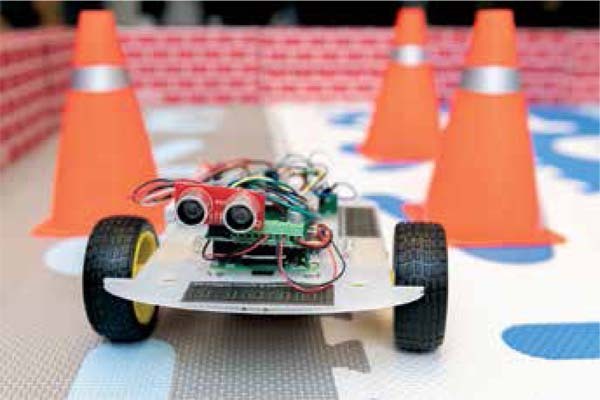 A robotic car controlled by an ultra-low power hybrid chip is shown in an arena to demonstrate its ability to learn and collaborate with another robot. Photo courtesy of Allison Carter, Georgia Tech. 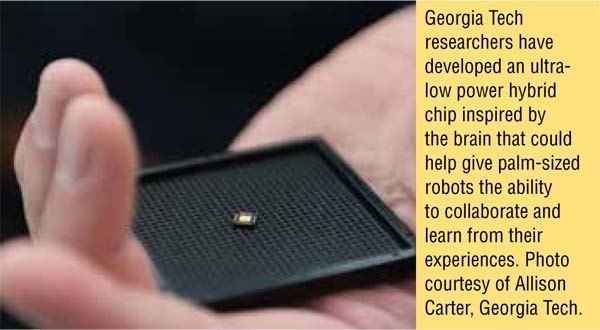 ATLANTA—(March 5, 2019)—An ultra-low power hybrid chip inspired by the brain could help give palm-sized robots the ability to collaborate and learn from their experiences. Combined with new generations of low-power motors and sensors, the new application-specific integrated circuit (ASIC) – which operates on milliwatts of power – could help intelligent swarm robots operate for hours instead of minutes. To conserve power, the chips use a hybrid digital-analog time-domain processor in which the pulse-width of signals encodes information. The neural network IC accommodates both model-based programming and collaborative reinforcement learning, potentially providing the small robots larger capabilities for reconnaissance, search-and-rescue, and other missions. The cars demonstrated by Raychowdhury and graduate students Ningyuan Cao, Muya Chang, and Anupam Golder navigate through an arena floored by rubber pads and surrounded by cardboard block walls. As they search for a target, the robots must avoid traffic cones and each other, learning from the environment as they go and continuously communicating with each other. In palm-sized robots, three major systems consume power: the motors and controllers used to drive and steer the wheels; the processor; and the sensing system. In the cars built by Raychowdhury’s team, the low-power ASIC means that the motors consume the bulk of the power. “We have been able to push the compute power down to a level where the budget is dominated by the needs of the motors,” he said. With each pulse-width representing a different value, the system is slower than digital or analog devices, but Raychowdhury said the speed is sufficient for the small robots. (A milliwatt is a thousandth of a watt). Communication between the robots allows them to collaborate to seek a target. Reprinted with permission of Georgia Tech Research News. 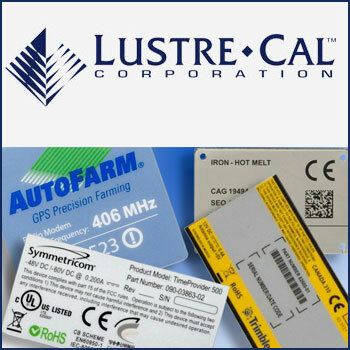 ATLANTA—(March 4, 2019)—Capacitors, given their high energy output and recharging speed, could play a major role in powering the machines of the future, from electric cars to cell phones. But the biggest hurdle for these energy storage devices is that they store much less energy than a battery of similar size. Researchers at Georgia Institute of Technology are tackling that problem in a novel way, using machine learning to ultimately find ways to build more capable capacitors. The method, which was described in the journal npj Computational Materials (February 18) and sponsored by the U.S. Office of Naval Research, involves teaching a computer to analyze, at an atomic level, two materials that make up some capacitors: aluminum and polyethylene. The researchers focused on finding a way to more quickly analyze the electronic structure of those materials, looking for features that could affect performance. “The electronics industry wants to know the electronic properties and structure of all of the materials they use to produce devices, including capacitors,” said Rampi Ramprasad, a professor in the School of Materials Science and Engineering. Take a material like polyethylene: it is a very good insulator with a large band gap—an energy range forbidden to electrical charge carriers. But if it has a defect, unwanted charge carriers are allowed into the band gap, reducing efficiency, he said. Using the new machine learning method produces similar results eight orders of magnitude faster than using the conventional technique based on quantum mechanics. While the study focused on aluminum and polyethylene, machine learning could be used to analyze the electronic structure of a wide range materials. 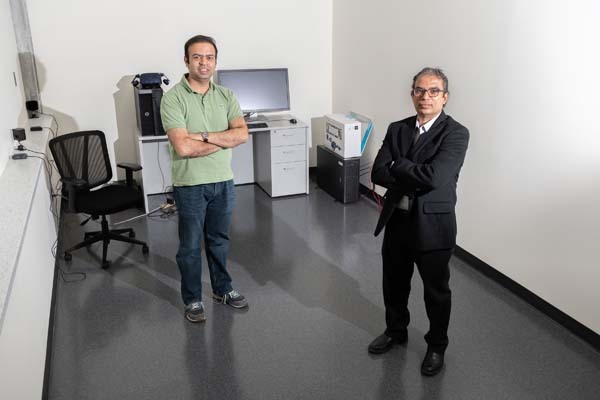 Beyond analyzing electronic structure, other aspects of material structure now analyzed by quantum mechanics could also be hastened by the machine learning approach, Ramprasad said. 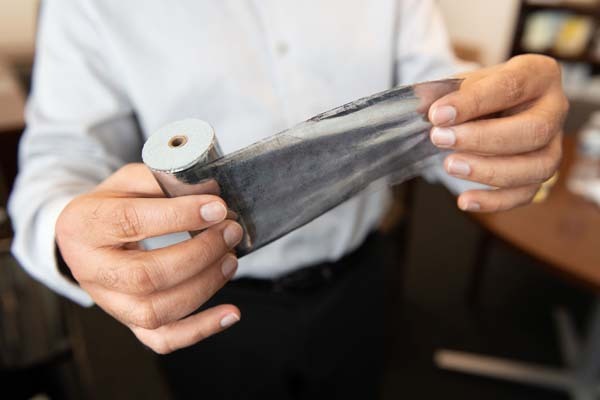 “In part we selected aluminum and polyethylene because they are components of a capacitor, but it also allowed us to demonstrate that you can use this method for vastly different materials, such as metals that are conductors and polymers that are insulators,” Ramprasad said. The faster processing allowed by the machine learning method would also enable researchers to more quickly simulate how modifications to a material will impact its electronic structure, potentially revealing new ways to improve its efficiency. This research was supported by the Office of Naval Research under grant No. N0014-17-1-2656. The content is the responsibility of the authors and does not necessarily represent the official views of the sponsoring agency.